The five-judge Supreme Court bench has accepted the centre's request to allow the chief of UIDAI to make a presentation before the top court. 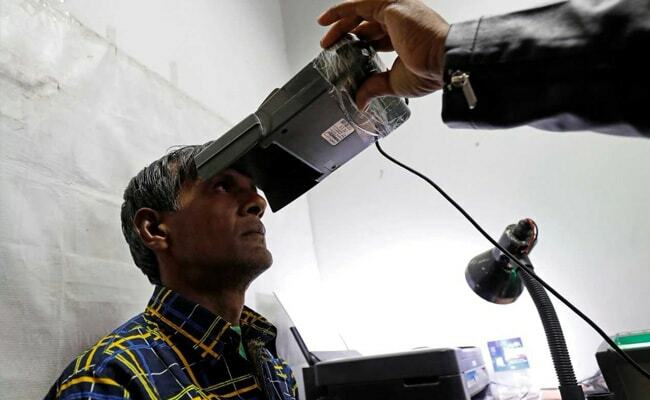 NEW DELHI: In a rare move, the Supreme Court bench hearing the legal challenge to the Aadhaar law has agreed to allow a PowerPoint presentation to be made on the controversial identification system. The five-judge bench accepted the request from the government's top law officer KK Venugopal after he argued that the chief of UIDAI, the body that issues the 12-digit biometric identity programme, would be better placed to explain the technical details of the Aadhaar system and its safeguards. "What can be argued for four hours by lawyers, the UIDAI CEO will do it in one hour through PowerPoint presentation," Mr Venugopal told the bench chaired by Chief Justice of India Dipak Misra. Mr Venugopal referred to CEO's educational qualifications - "he has a Ph. D in computer science" - and promised the judges that UIDAI chief Ajay Bhushan Pandey could "answer all questions" on the Aadhaar. The presentation is likely to be made tomorrow. Attorney General Venugopal said two screens could be put up in the court that would let the judges as well as the petitioners track the pointers. "All doubts of the judges and petitioners will be answered by CEO UIDAI," he said. The five judges have been hearing a batch of petitions that challenge the identification programme, contending that it violates an individual's fundamental right to privacy. The petitions also argue against a 2016 law enacted by parliament that empowers the government to force people to enrol for the number to be able to access public benefits and services. The government's top law officer, who told the court that he would focus on legal points and let the UIDAI chief talk about the technology, told the court that the Fundamental Rights enshrined in the Indian Constitution have two aspects. One deals with rights like Right to Food and Right to Education and the other pertains to Freedom of Conscience and Right to Privacy, Mr Venugopal said. The question is which aspect will prevail, he said, adding that the fundamental rights like the Right to Life should prevail over Right to Conscience and Privacy. Aadhaar was launched by the previous UPA in 2009-10 to reduce the government's subsidy bill and remove duplicates from the home ministry-driven national population register that was inspired by BJP patriarch LK Advani's identity card project. After the BJP-led coalition came to power in 2014, Prime Minister Narendra Modi put the population register on hold and put his weight behind Aadhaar.